Online payment systems such as PayPal, Skrill, Square, Payza and Transferwise handle transactions worth billions of dollars every day. Every online business should have an online payment system. They are secure, easy to use and protect you from problems resulting from security breaches on your own network. Electronic Wallets such as PayPal, Skrill, Apple Pay, and Google Wallet are the most popular online payment systems. They are safe and secure and very fast. This online payment system allows you to make a wire transfer to your bank account from your account on the website of a business. Electronic checks are a new way of writing a check; you can write a check electronically as though you were someone with a paper check. ECheck is one of the popular electronic check systems. So why use online payment system? Why are they so important for your business? It is very easy to set up an account on PayPal or Skrill. It hardly takes an hour of your time and everything is done online. You don’t have to talk to anyone or get in touch with anyone to get this done. The whole process is automated. Once your online payment system is set up, you can add it as a button on your website. Online payment systems such as PayPal, Transferwise, NETeller, Google Wallet and Apple Pay are much cheaper than traditional payment systems. They have low transaction charges and cheap currency exchange rates, which is so important for small businesses that operate on a tight margin and cannot afford to spend too much on the money transfer. Generally, they cost less than 3% per transaction, while traditional payment systems charge between 3% and 8% for international transactions, which is really exorbitant. Another advantage of online payment systems is that they make it very easy for you to refund money – refunding is not only difficult in offline systems, but also very expensive. The greatest advantage of PayPal, Skrill and other online payment systems is that you can use them to make payments through your mobile phone as well. 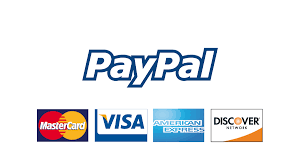 PayPal Now, for example, is a very innovative new system which allows you to make payments on the go. So you can simply hook in a card reader to the phone jack or type a credit card number on PayPal in order to accept a payment. The money transfer will be reflected on your PayPal account immediately. Other popular online payment systems such as Google Wallet, Apple Pay and Transferwise operate on a similar principle. You have no doubt heard of PayPal protection. If a business does not provide the service that was expected of it, PayPal takes action and ensures that the customer gets a refund. PayPal executives mediate a dispute between the buyer and the seller and ensure that the issue is resolved amicably to everyone’s satisfaction. Other online payment systems such as Google Wallet, Apple Pay and Skrill offer protection to users as well. This saves you both time and money and gives you the peace of mind that you seek when making a payment online. We have explained some of the advantages of online payment systems such as PayPal, Skrill, Payza and many more. They are easy to use, heap, and flexible and protect your online transactions. They are good for businesses and especially great for customers or buyers. TechyPassion is a blog where we write about the following articles: Windows, Technology, SEO, WordPress, Gadgets, Android, IPhone, PC Tips and Tricks.